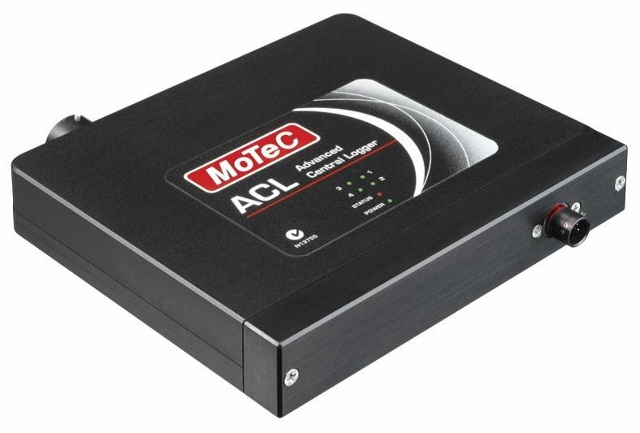 The ACL performs data logging, data communications and sophisticated calculations, as well as acquiring sensor data via the VIM expander modules. It also collects data from other connected devices such as an ECU or Dash Logger. The ACL has a very large logging capacity (1GB+) with fast download via an Ethernet connection. It provides all the advanced features of MoTeC ‟s ADL2 Dash Logger, including warning alarms, fuel prediction, engine logs, timers, tables, user conditions, telemetry and more. Separate display devices can be connected to the ACL, including the MDD, ADL2 and SDL.